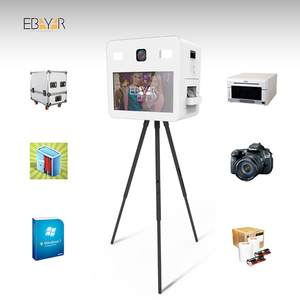 Yuyao Beisi Photographic Equipment Co., Ltd.
As the result, the cost is high and the price is not suitable. The sizes of our poles are made according to the level rule. We will give you the best advice according to your order quantity. The sizes of our poles are made according to the level rule. Even if you use continuously more than 3 hours, you won&rsquo;t feel tired. It can be used in some special higher and lower angel. Just Tell us your need and request of coffee machine. Delivery time of the coffee machine9 A. Warranty about coffee machine9 A. 12 months. Q. 2. Q: Do you offer samples for testing and how long is going to take to get samples9 A: Yes, we offer samples for testing with cost paid by buyer. 4. Q: What kind of packing you can provide 9 A: For selfie stick 1pc/box,100pcs/carton, For tripod 1 pc/box, 6pcs/carton we also accept customized packing. 5.The company plant area of 4,000 square meters, employs more than 150 people , has enough production capacity to complete customer demand. 2 or &ge; IOS 5.01 Features: 1. No need to link the bluetooth ,audio photos 2. No need to charge, Do not need to worry about the electricity in the long journey . 3. universal IOS and Android Smart Phone 4. 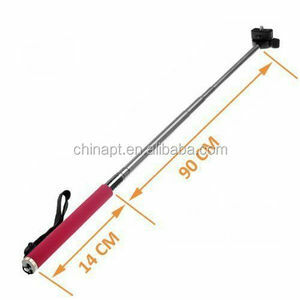 The Most simple Monopod: Do not need to download software, directly insert the line phone audio port to control the camera phones 5. Anti-shake when take photos, comfort to use, no tired feeling. 6. Portable, light and flexible, practical User Guide At first use,pls pair the mobile phone and monopod(refer to the monopod),then use it as followed: 1st Step Pls put the mobile phone into the phone clamp 2nd Step Fix the mobile phone clamp on the screw 3rd Step Stretch the monopod 4th Step Enter mobile phone camera application 5th Step Focus on yourself and push the "press"
Shaoxing Fu'an Machinery Co., Ltd.
Alibaba.com offers 209 selfie pod products. About 18% of these are tripod, 7% are other mobile phone accessories, and 6% are vending machines. 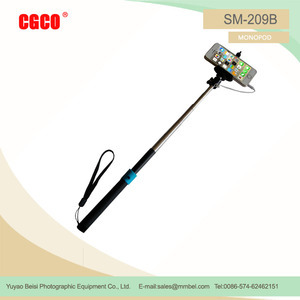 There are 128 selfie pod suppliers, mainly located in Asia. The top supplying countries are China (Mainland), United Kingdom, and Australia, which supply 93%, 3%, and 1% of selfie pod respectively. 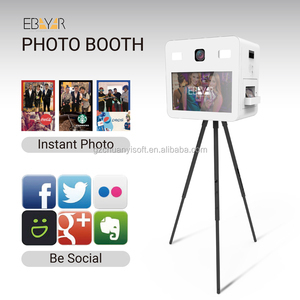 Selfie pod products are most popular in North America, Western Europe, and South America. You can ensure product safety by selecting from certified suppliers, including 89 with Other, 13 with ISO9001 certification.